Mumbai-based tech startup Birds Eye Systems Pvt Ltd, a company specialising in traffic monitoring solutions, has launched a paid on-demand service for traffic updates. The service costs Rs 549 and Rs 849, for email and SMS alerts respectively, and will provide users with traffic updates for an entire year. For accessing the service, users will first have to select a start and end location, post which they can decide a particular time when they want to receive the update. Once that is done, they will start receiving updates depending on the subscription they have selected. For example, if we select traffic updates for Andheri to Bandra between 10 am and 7pm, the company will automatically send traffic updates at those times on a daily basis. This will be helpful for office goers and students who have a fixed daily route. Alternatively, users who don't want updates at fixed timings, can select the on-demand service, which allows them to ask for an update whenever they want one. For the same, they will have to send an SMS or email to the company (depending on the plan subscribed), post which they will receive a traffic update for that particular time. Basically for fixed timings, the company will 'push' updates, while for the on-demand service the users will have to 'pull' them. The service has been in beta since April, although the on-demand pull option has just been added. According to Ravi Khemani, co-founder, Birds Eye, the service already has 6,500 users, out of which around one third are paid ones while the others are still in the trial phase. The startup was co-founded by Brijraj Vaghani and Khemani in March 2009 and its flagship product Traffline (a low-cost, real-time traffic monitoring system that broadcasts live traffic conditions for road commuters) was launched in January 2012. The company also launched a taxi-booking service in September 2011 that was serving over 15,000 customers as of April last year. Birds Eye had received Rs 2 crore as angel funding from Indian Angel Network in April 2012. As part of the funding, IAN members Rajiv Dadlani and Nitin Agarwal had joined the board of the company. Khemani mentioned that they have spent almost half of the funds, and will look to raise another round in the next 8-12 months. The startup had also earlier received Rs 15 lakh from the Centre for Innovation, Incubation and Entrepreneurship (CIIE). According to the company, commuters can reduce road travel time by almost 20 per cent by using Traffline. Its product is built on a platform that continuously analyses live vehicle movements and displays results on Traffline.com. The results are available in a text format on m.traffline.com (suitable for mobile phones) and mobile apps, while you get them in both text and map formats on the web. Currently, Birds Eye's services are available in Mumbai, Delhi and Bangalore, and the company is planning to expand to other cities like Hyderabad, Chennai and Kolkata. According to Khemani, the Traffline app has seen over 100,000 downloads across platforms like Android, iOS and BlackBerry 10. Last we checked, the app had received between 5,000- 10,000 downloads in the last month on Android. 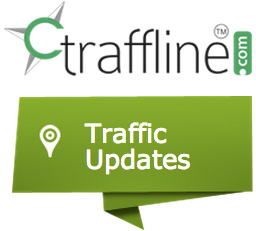 "We have seen a lot of interest from our users for traffic updates. And while the majority prefers updates on fixed timings, there are those who also wanted it as an on-demand service, hence the launch," said Khemani.